Chef Roland Passot began his culinary career at the tender age of fifteen in France's gastronomic capital of Lyon. Traditionally trained, by some of the most famous chefs in France, he began as an apprentice, peeling carrots and potatoes in the kitchens before working his way up to the position of assistant Sous-chef at Léon de Lyon (Michelin Three Stars) under Chef Paul Lacombe. He was singled out by Jean Banchet of Chicago’s famed Le Français while a member of the brigade de cuisine at the eponymous restaurant of chef Pierre Orsi (Michelin Two Stars) in Lyon. Passot, with his wife Jamie opened La Folie in March of 1988. Ownership of the intimate 60-seat restaurant gave Passot the freedom to truly cook from his heart without the constraint of having to follow someone else’s rules or ideas of what or how to cook. He combines the freshest of ingredients in unusual marriages as in his Maine Lobster Salad with a Spicy Mango and Citrus Vinaigrette or Seared Hudson Valley Foie Gras with Wild Oregon Huckleberries with Aged Blis Maple Syrup. Passot’s culinary creativity lies not only in exotic combinations, but in their presentation as well. Each plate leaves the kitchen resembling more a work of art than a meal—a canvas of color and design that tastes even better than it looks. 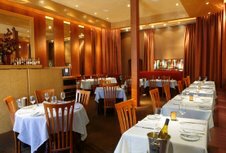 La Folie was an immediate success with the critics and it has been consistently rated as one of the top restaurants in San Francisco since its opening. The restaurant received four stars from Food & Wine magazine (1992), “Best Food” and “Best Presentation” in Gourmet magazine (1996) and “Best Food” and “Best Nouvelle French Restaurant” in the Zagat Survey (1998). 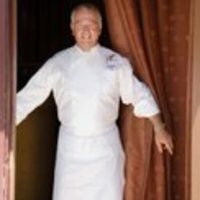 Passot himself was awarded the coveted James Beard Rising Star Chef Award in 1990 and in 1991 he was inducted into the prestigious French Chefs’ organization Maîtres Cuisiniers de France. Other notable accolades continue ~ SF’s “Top Ten” in Gourmet Magazine (2000), “10 Great Places to Eat a la Français” in USA Today (July 2000), “Best French Restaurant” in San Francisco Weekly (2000 and 2001), “Best Chef” in San Francisco Weekly (2000), he was awarded a Four Star review in the San Francisco Chronicle (2000) and “Best French Restaurant” in San Francisco Magazine (2002). In 1994, Passot teamed up with Edward N. Levine, CEO of Vine Dining Enterprises, Inc. and President of Vine Solutions to develop and open Left Bank in Larkspur. This 200 seat brasserie features “Cuisine Grand-mere," Passot’s version of French home-style cooking. It was an immediate success and in August 1998, Passot and Levine took their concept to Silicon Valley opening a second Left Bank in Menlo Park. What followed was more interest and demand for more locations. Left Bank in Pleasant Hill opened in October of 2000, Left Bank in San Jose opened in the spring of 2003, and Left Bank in San Mateo opened in the fall of 2003. Named “Northside Chef of the Year” in 2005 by Northside SF Magazine, and an avid supporter of sustainable fishing, Chef Passot makes a conscious effort to reflect that in the dishes he prepares and the vendors he purchases from. 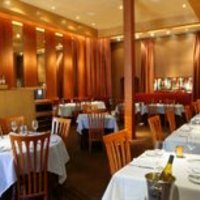 Ranked as one of the Top Ten and Best French Restaurants in the San Francisco Bay Area by the Zagat Guide in 2006 and 2007, La Folie has continued to flourish in this city which is riddled with great talent, drive and inspiration. Nominated once again for the James Beard Best Chef, California, in 2005, 2006, and 2007, Passot is dedicated to providing a “fun” environment where his guests can enjoy great food. As a testament to his dedication, in 2007 Passot’s passion and skill were recognized once again as he was one of the first restaurants in the San Francisco Bay Area to receive a coveted Michelin Star. In December of 2007, Passot has teamed up with Tsar Nicoulai Caviar to launch “Passot Roe,” a series of flavor infused trout roe. Although Passot is extremely serious about his food, his talent, his gregarious personality and booming laugh have made him a favorite with local TV producers and as a guest chef with several local culinary centers including Draeger’s, Ramekins and Sur La Table. 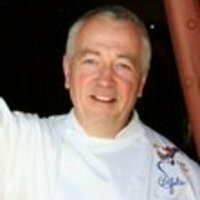 Chef Passot’s commitment to his métier is reflected locally with his October 2000 induction into the California Culinary Academy’s Chef Stars Walk of Fame. However his June 2001 awarding of Chevalier dans l’Ordre du Mèrite Agricole is perhaps one of his greatest accomplishments, as this is an official French Governmental recognition of his genuine contribution to his native country and the value of his craft. He also donates his time and talent to his favorite charities including Meals on Wheels, SF Food Bank and the James Beard Foundation. Roland is a popular instructor at nationally acclaimed Draeger’s Culinary Center in Menlo Park and San Mateo. He is also a regular participant and contributor to TV, print, radio shows and events. The reason La Folie has been my favorite San Francisco French restaurant for well over a decade is because each time that I have visited Roland Passot has been in the kitchen cooking, not sitting at home while his sous chefs do the work.